It’s hard to work sometimes when the view is as beautiful as the view usually is here on St. John, but we’ve been busy! Our parent website, St. John Links–home of St. John House Rentals–now has a whole new look. Check out our beautiful new design…and while you’re at it, learn all you need to know to plan your next visit to St. John. We’ve got information not just on where to stay, but also where to eat, where to shop, where to snorkel, where to charter a sailboat or powerboat for the day…even where to get married! How do you know when the season’s getting started on St. John? The food, for one. 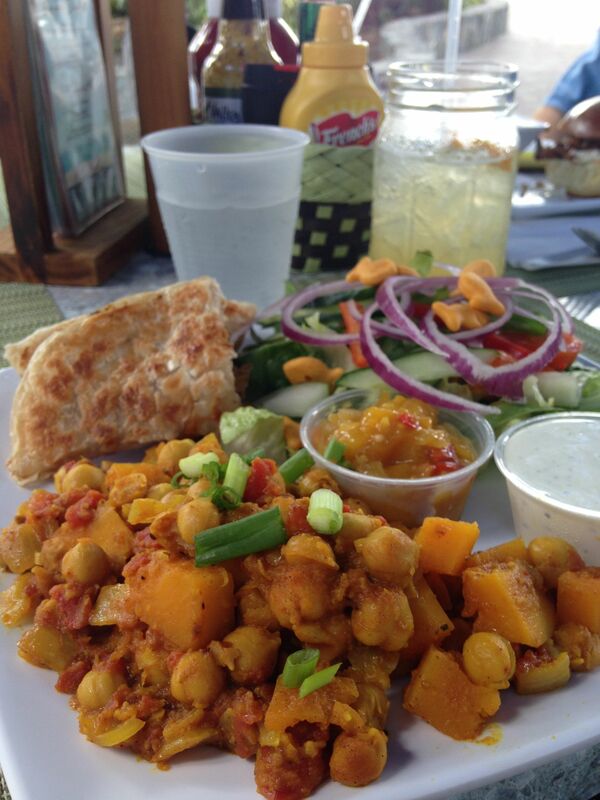 Chickpea and pumpkin roti at Cruz Bay Landing. Across the Street Bar: Closing briefly. Dates TBD. Virgin Fire: Closing September 8; Reopening October 1. Vista Mare: Closing October 8. Reopening date TBD.